Welcome to the Bees4Vets Raffle for the winter of 2019. 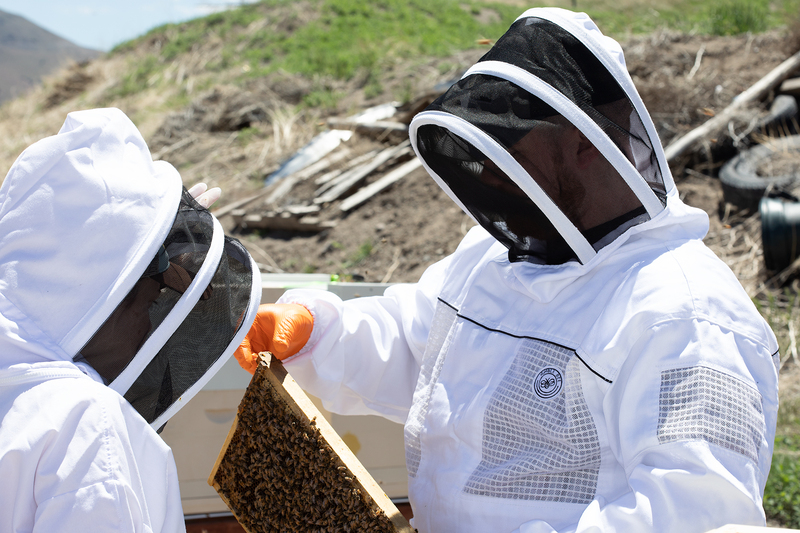 The proceeds from this raffle will help run our program for the 2019 season, where we will provide instruction in beekeeping for up to 10 students every week for the season as well as providing those students hives to manage and all of the equipment they need to learn beekeeping. Tickets are being sold for $10.00 each or 6 tickets for $50.00. Tickets may be purchased from Bees4Vets directors, Officers and Volunteers or may be purchased online below (there is a small charge added to the costs of the tickets to cover the PayPal processing fees and handling for your tickets.) Tickets purchased online can be mailed to the address provided with your PayPal purchase. Additional prizes may be added and all prizes will be awarded. The drawing for the Bees4Vets raffle will be held Saturday, March 30, 2019 or as soon there after as 1500 tickets have been sold. Absolutely no returns or refunds on raffle ticket purchases! * Bees4Vets and the Bees4Vets Raffle is not sponsored by the Peppermill Resort Spa Casino.